Picture this: You’re running your first-ever marathon through the streets of New York City. You’ve been training for this for over a year. You’re exhausted, sweaty and surrounded by people, including over 50,000 fellow runners and countless spectators. 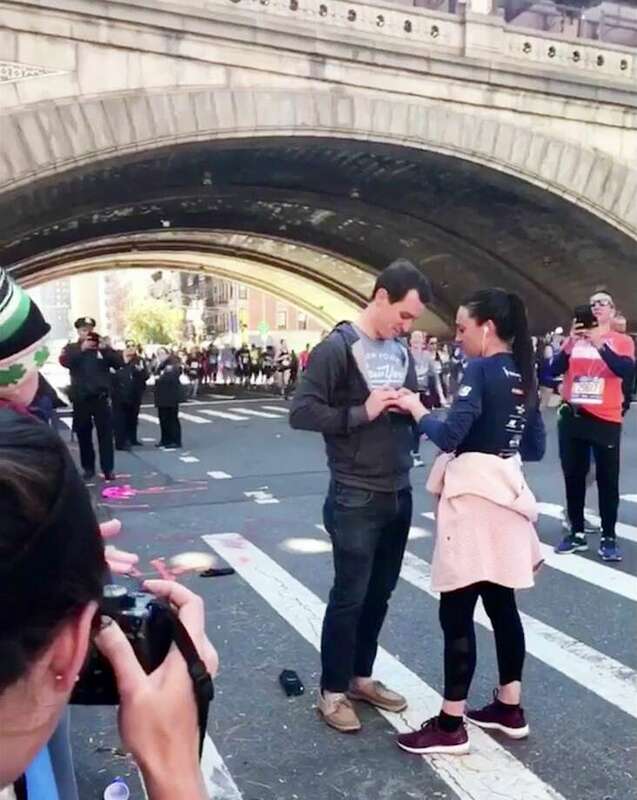 At mile 16, you see your boyfriend and excitedly run over to say hello. It is at that precise moment that he hops the barrier, gets down on one knee and proposes to you. In the middle of the marathon. That’s what happened to Kaitlyn Curran when her now-fiancé Dennis Galvin popped the question this weekend. The video, which CBS Evening News obtained, has started to go viral. In total fairness, the people of Twitter don’t know whether Kaitlyn loved this proposal or not. She said yes, and she did look super happy as she kept running. It’s totally possible that this is exactly what she wanted and Dennis killed it and they will live happily ever after. However, for any future men planning on proposing to their ladies, maybe think twice before doing something that could potentially go viral and get you roasted on the internet. Good luck to you! INTERNET - ALL THINGS INTERNET © 2015 - 2019.